UPDATE: The Inhaber Graph curve is discussed in 2015. Later work shows this curve may be too pessimistic, though the shape of it is largely correct, the numbers are not quite this dismal. One windfarm: bad; ten windfarms: useless. But here’s the non-linearity trap for the fans of green energy. If we replace 20% of the power grid with wind power, we don’t get a 16% reduction in CO2 emissions: we get about 2% reduction (give or take a lot). Indeed if we use enough windpower we might even increase CO2 emissions. Yes Coal + Wind = more CO2. Oh the irony. Quick, can someone email Julia Gillard? A review of wind power’s success in reducing emissions of CO2 shows the folly of pretending that successful small wind and solar power units can be upscaled to replace a large part of our electricity grid. The major difference between a coal-burning future and a “clean technology” one turns out to have nothing to do with CO2 — instead, in a coal burning future it’s impossible to waste this much money. The Gillard Carbon Tax plan very much pretends that Australia can “convert” to wind and solar, but a new review by Herbert Inhaber shows the big gains in cutting emissions with these technologies only applies to the first few percentage points of power generated. How can this be, I hear you ask? The problem is that because wind and solar are so variable — promising one hour, lousy the next — we need to run the conventional power generators and cycle their output up or down to smooth out the bumps. Inhaber compares the efficiency of power generation to mileage for driving a car in the city versus the country. Major generators are efficient when operating at a steady continuous rate. Starting and stopping these mammoth industrial machines is a bit like starting and stopping a car in city traffic (only with a lot times more horsepower). With city-driving we use a lot more fuel to cover the same distance. And windpower is the tool that converts good country-mileage power stations into sloppy city-mileage ones. In other words, all the CO2 savings the alternative generators promise us are used up by the reduction in efficiency of our large industrial baseline generators that have to be kept spinning due to the intermittent nature of the wind. Inhaber’s paper is unfortunately behind a paywall, so I can only link to the abstract of “Why wind power does not deliver the expected emissions reductions”. He compares German and Danish windfarms with experiences in Colorado and Texas as well as Ireland and Estonia. with this energy form than any other. order to guarantee power supply at all times. Windfarms can increase real pollution — sulphur dioxide and NOX. Hip Hooray. at a plant due to wind or any other factor is called cycling (p. 23). than would have occurred if the coal units had not been cycled. … he has published, over 150 papers, articles, book chapters, and reviews in such journals and publications as Science, Nature, Philosophical Transactions of the Royal Society, Risk Analysis, Risk Abstracts, Risk Man­agement Quarterly, Annals of Nuclear Energy, Transactions of the American Nuclear Society, Transactions of American Society of Mechanical Engineering, Atmospheric Environment, Journal of Japanese Atomic Industrial Forum, Kerntechnik (Germany), Hazardous Waste Management, Journal of Hazardous Materials, Environmental Science and Technology and Technology Review. His work has been cited over 1070 times in technical literature, including over 280 books and monographs. Authored eight books: “Energy Risk Analysis”; “Slaying the NIMBY Dragon” (on siting undesirable facilities); “Why Energy Conservation Fails”; “Physics of the Environment”; “Environmental Indices”, others. He has published 200 newspaper columns. “A carbon price of around $2,500 per tonne would be needed for wind power to reach 20% penetration. The Renewable Energy Target is 20% renewables by 2020 and most of this is expected to be provided by wind power. Therefore, the expected initial carbon price of about $25 per tonne would have to increase by a factor of one hundred to achieve the Renewable Energy Target.” http://bravenewclimate.com/2011/05/21/co2-avoidance-cost-wind/ Thanks to Chris Y. Wind power variability in Germany ranged from 0.2% of the grid to 38%. Inhaber also used this graph from the .E.ON Wind Report report which was posted on this Wind-watch page. (h/t Bruce of Newcastle). This is the killer variability that dooms large scale windpower. E.ON Wind Report (2005) Fraction delivered wind of total delivered power. Wind delivery varied from 0,2% to 38% of total power delivered to the grid. Oh Boy! here we go again. This is why Germany is in the process of building many new coal fired power stations. They are smart – they have woken up to the folly of the “Green Highway”. Does our government (or any of it’s advisers) do ANY research into these other countries that have travelled on this highway prior to wasting our money on the same folly? I think NOT!! Check out Figure 2 to see what early providers of wind energy knew all along. Similar data was presented in relevant IEEE publications a few years ago. The public is starting to catch up only now. I read some where on the blogs that one wind generator could supply so many hundreds of Australian homes with electricity. My question is, how many wind generators would you need to supply one house when the wind is not blowing ? We shouldn’t have to worry yet in Australia. At the proposed CO2 tax levels of the next 3 years there will be no voluntary fuel-switching, let alone renewables, except for those painfully expensive follies of the Brown Bank. Rort after rort these inept plans shall be exposed as the opposition hammers home the fact that a bunch of unelected, tenured bureaucrats cannot pick winners better than the free market. They simply do not have the expertise. Besides, it is not the role of Government to risk money on investments in this way. The biggest distortion of market economics is for the Government to jump in and pick projects itself. That is just one, but one of the biggest, gross hypocrasies of the proposed legislation. Billions wasted. This is why the Government was advised to eliminate all Government incentives in the energy market when adopting a market approach… advise they ignored for political expediency. I urge each of you to express your support for the release of this video and try to save a copy of it before politicians and world leaders discover that the falseness of their AGW fable has been exposed. The solution is to install hot air turbine generators in the roof of all political meeting places. Surly there is a way to capture this useless waste of energy? Next will be methane capture units to extract the best part of all their Bullshi*…..
OT. But is this True? Would that mean that Get Up will be funding the Monckton Tour, to the tune of $6,000 ? Blimey ! (or is it with Tax Payer’s money). Looks like an event not to be missed. Will they be hoping to drown out debate, by chanting mindlessly, like the Youth in Copenhagen. It may be that the GFCII is about to start. It is coming later than expected, but that is because of the ridiculous amounts that have been poured into forestalling the crash of the failing economies of Ireland, Portugal and Greece. What the calculations also omit is the overall “cost” (in CO2 emissions) from the manufacture of the windmills in the first place. The coal power station “costs” (in terms of CO2 emissions) associated with their construction, has already been incurred so the most carbon neutral thing to do is to keep them going for as long as possible. Wind energy in Germany is even worse than Jo says. The spinning reserve coal fired power stations cannot run steadily so there is a major hit to their efficiency. So much so that if you turned off all of Germany’s wind turbines their net CO2 emissions would likely go down significantly. At an overall efficiency rate for the back-up system of 45% the fuel saving already becomes negative and there is an extra fossil fuel demand. Wind electricity generation in this case produces extra CO2, which is a truly counter intuitive result. As they point out also, going to gas turbines does not help either, as ‘rapidly reacting open-cycle gas turbines’ only achieve 30% efficiency compared to a steadily running 55% for a coal plant. Then there’s the ‘Cuisinarts of the Air’ aspect. Wind will be difficult to implement for other reasons. In rural Spain, where I have recently spent months hiking, the land use for turbines and cabling is massive. Massive! Whereas in Spain the hillcrests and high country were already fairly bare, here we would have to do clearing and bulldozing in high places which have been left forested, and the scale of that clearing will appall nearly everyone when they see it. It can only go ahead if land-owners are bribed outrageously, (which is what happens in Europe). In short, wind-power – which is a bad joke as an energy source – requires vandalism on a scale few can now imagine. Let’s hope it remains only in the imaginations of our Green Betters. heard abbott on a replay of a 2UE interview last nite with john stanley saying he disagrees with monckton. says he believes we must reduce carbon (dioxide) emissions. imagine if the coalition really stood up against this scam! and don’t tell me he’s being cunning and that he would change his stance if he got into power. i’ll be voting “none of the above”. A NEW team of investigators will monitor how the carbon tax flows through to the cost of everyday items in a bid to stop consumer rip-offs. conflicted piece by a CAGW believer on the ABC! For a while now, I’ve been increasingly convinced of the need to join a political party in order to really participate in our political system. I was torn, though: my economic moderation and belief in limited progressive taxation seemed more in line with the Liberal Party, while my liberal stance on many social and environmental issues seemed more at home with the Labor Party. Nothing to do with wind energy, but I have been keeping an eye on the performance of the solar panels at my local supermarket. They have a screen that displays how much of their power is coming from the solar panels on their roof at any point in time. The screen also gives information of how many panels they have, and how much power they have generated to date, and how long they have been in operation. The math is not hard, and each panel, regardless of its “rated output” is delivering an average of 60 watts. Yep, one small incandescent light bulb, per panel per daylight hour. Unfortunately they don’t say how much the panel array cost them, but considering it covers almost the entire roofing area of the supermarket (on the sunward side), the installation would not have been cheap. They also don’t say how much they pay for the person needed to give them a good wash once a week because the ecological birds quite like having warm feet, it seems. I am waiting to see if they also like nesting between the panels. It didn’t take mining jobs into account though, just power station jobs. All those miners and power station workers can find bigger and better green jobs pedalling the bicycle powered generators to provide base-load power! Glad you finally got onto this scam Jo, and I will give you a few more examples of how poor wind really is. In SA we have 1150 Mw of installed wind-farm capacity in the state, much of this is located very close to the big power stations at Pt Augusta (combined capacity 760 Mw) which supplies 40% of SA’s electricity supply. Playford B (240 Mw) was originally designed as a strategic generator to be used for peaking demand, however, over the past 5-10 years it has come to be used almost constantly. Production of CO2 in SA has gone from 9.33 millions tonnes per annum in 2005 to 10.33 million tonnes in 2009, and is still rising today. During the heat wave on January 31 this year, SA drew a record 2399 Mwh from the supply, windfarms supplied just 60 Mwh. The only conclusion that can be drawn is that windfarms have had no impact on the SA electricity supply, despite significant and costly installed supply, and our fossil fuel consumption is still going up. Our skylines have been ruined, the health of those people located close to them destroyed, and their property values similarly reduced. Lastly, they have been responsible for a significant loss of bird-life. Can you add a twitter link so we can fire out links to your articles? It auto shortens your link, can include a reference to you as well as the title of your post. Anyway, big fan, just trying to help get you out there. REPLY: Thanks. I do have a twitter button but I gather only mozilla people can see it? So I’ll look at the alternative. There is an auto tiny url at the bottom of each post. Appreciate the suggestions. Those wonderful project releases for ANY new renewable project always state that they can produce electricity for (X) number of homes. It always sounds impressive and gives the impression that the project really is achieving something. It’s a trick they use to hide the truth in plain sight. They calculate how much power the plant can deliver over 12 months at the theoretical maximum power they hope to generate. They know from existing data the actual consumption of an average household in the area of the plant, and they then divide their theoretical total by that residential total, and that gives them (X) number of homes. Every renewable plant does it, because if they told the real truth, then some sterner questions might be asked. What it means is that the plant can supply (X) number of GWH (GigaWattHours) over the 12 month period, and from that, using the standard formula, you can work out the Capacity Factor of the plant, which then translates into the average hours in a day that the plant can be delivering its power. The average person in the street doesn’t have the technical expertise to translate the actual truth, and they see that statement that says (X) number of homes and they think … Wow! We’re getting somewhere now. I use the Coopers Gap wind farm to explain it in a little more detail at the following Post. Once you see how this trick is carried out, it puts every new renewable project into stark perspective. The same also applies when they falsely use the number of tons of CO2 being saved, or the number of cars removed from the road. It’s a very clever trick they use. The science facts, CO2 build up is from 300yrs of land clearing deserts and volcanoes. There is no clean energy on horizon hence tax has no foundation. One volcano day is equal to 1 years of power station steel etc emissions. We must keep emotions and “I think” out of debate and solution. Hard science and historical evidence is:- Over billions of years mass volcanic eruption blocked out sun and global cooling and semi darkness fell across the earth for millennium. Death of much living matter occurred see Mongolia as case and point. Charging industry a tax is actually illegal the principle cause is developed nations over 300 years stripping now developing nations of their timber and minerals leaving reflective deserts to preheat incoming sun’s heat in upper atmosphere. The reality is these dying land masses emitting CO2e regions and now mass volcanic eruptions as painfully obvious are the principle causes. The current government needs urgent cash to return budget back to black before next election. Yes Coal + Wind = more CO2. Oh the irony. Quick, can someone email Julia Gillard? A waste of time. She knows what’s best for us and is not listening. Not only is she not listening to us but she’s demanding that we “eat our vegetables”. Because it’s the “right thing to do” or course. When will you do Dr John Nicol the courtesy of a rigorous analysis of his analysis of the greenhouse effect? Your previous response to this request was a very glib “It’s not a peer-reviewed paper so I won’t bother”. Nicol advises that he used 3rd year level physics in this analysis and I take this to mean that these “established laws of physics” passed the peer review test decades ago. Please do yourself a favour and get someone to make the effort to review Nicol’s work. If he is right then the carbon tax/price is pointless. If he is right then serious work on combatting climate change is being neglected and precious time and resources are being wasted by indulging ourselves in this obsession with carbon dioxide “pollution”. Is the neglect of Nicol’s work some sort of “scientific cringe”? You know it is possible that an Australian scientist might just know a thing or two about the behaviour of CO2? Not all wisdom resides with Gore/IPCC. Ever benefited from anti-biotics? Ever heard of Howard Florey? Tell your caucus colleagues to think outside the “Flannery box”. In other words please make an effort to get the science right before leaping into the unknown on the basis of “beliefs”. Make the effort to base your policy on some testable facts ! Certainly don’t be embarrassed if the truth has been discovered by an Aussie! After all Dr John Nicol is a product of our Australian education system. Please don’t confuse climate modelling with science. I have no doubt that some very clever modellers/mathematicians are using the latest and greatest computers to make climate forecasts. I am sure you are aware that the results of the models are only as good as the data and assumptions fed into the computers. Garbage in—garbage out!! Try to find out how the models handle the interaction between CO2 and infrared radiation. How do they allow for the effects of clouds? Have you got the economics right? If the big “polluters” pay the tax and most of us get compensation funded by their tax payments then we might get a stalemate and no change in emissions. They have an extra production cost. The cost is passed on to us. We pay it with our compensation which is funded by the producers’ extra tax payment. No one’s behaviour needs to change! Alternatively the “polluters” cut their emissions. So they don’t incur the tax but use higher cost lower emission energy production technology. The cost to the consumer does not go down because the lower emission production cost equals the coal based production cost PLUS the tax BUT there will be no tax revenue to compensate the consumer. The consumer ends up footing the bill for a shift to more expensive technology! So if the tax cuts and hand outs are to continue after the pollution stops where does the Govt get the money? Time to fess up I think! If you want to do a wealth re- distribution project then just do it! No need to hide it behind a carbon dioxide price/tax. The politics is strange. In bed with the Greens who among other things want to wipe out a major export industry. Is “power” so important that principle is cast aside? A few years ago Barry Jones edited a book of essays by ALP luminaries, including Gillard and Tanner, bemoaning the fact they had been under Howard’s thumb for a decade. Rudd rated about a line and a half in that book. Yet 18 months later he had convinced the voters to wipe out Howard for you. (So much for the moaners and their ability to see a way of “moving forward”.) Then you allow him to be wiped out. Surely you can’t be surprised when an average Aussie like me loses faith in the ability of the ALP to lead Australia anywhere worthwhile? Let’s see some clarity and open-mindedness in your approach to climate change. Be brave enough to explore the ideas of Nicol and Svensmark. You may not be popular in caucus when you tell them what you learn from such exploration. But let’s face it the way things are going caucus is on a faster path of reduction than carbon dioxide “pollution”! Another great mythbusting by C3 again,great work showing up the scamsters. Well mas I posted earlier windfarts are not popular in the UK. This is the “clean energy future” we are heading towards? Unfortunately Oliver Manuel’s hyppothesis relies on the existence of something that doesn’t exist – neutronium – matter comprised 100% of neutrons. Free neutrons are unstable and have a half life of about 10 minutes. Neutronium was invoked by the late Tommy Gold to explain the behaviour of pulsars (rapidly pulsing stars) since he assumed that the pulsation was due to rotation. Electrical engineers will, however, suggest that this pulsar behaviour can also be explained in terms of a oscillating electrical circuit without any need for the invocation of mythical neutronium. However the phenomena observed by NASA can be more easily explained using plasma physics under the assumption that the sun is at the focus of a large Bennet Pinch (Z-Pinch) powered by galaxy sized electric currents. I’ve discovered its a lot more complex than this simple model, but the implications for the Standard Model of the Sun are profound – and Manuel’s interpretation is correct – the sun is not a hot ball of hydrogen with a fusion reactor core, though nuclear fusion does occur at the photosphere, similar to the nuclear fusion reactions observable using high amperage plasma discharges in the laboratory. These are transient events and despite over 50 years of experimentation, science still has not managed to produce a sustainable nuclear fusionr reaction; one view is that the plasma is so unstable that it may not be possible to generate energy in this way. This discovery will totally blow the standard model out of the sky, and with it the AGW hypothesis but I would not expect it to happen quickly anad academic resistance to this discovery will involve further ad hoc adjustments to the standard model to make the facts fit the theory. Remember that the standard model is compatible with the Big Bang Theory that is also compatible with Western culture that is based on Christian-Judean traditions. Even atheists, like Philip Adams etc, believe in the Big Bang Theory so it’s a lot more complex an issue than simply falsifying the standard model. (The Big Bang theory is really a liberal interpetation of creatio ex nihilo, while theological fundamentalism could be considered a literal interpretation of it, but in essence both are the opposite sides of the same coin). This discovery will have unintended consequences, and that may become unbreable for some. In The U.S. there has been a considerable ramping up of construction of renewable power plants, mainly Wind Power Plants. They have around 41,000 MW of Nameplate Capacity Wind Power, the equivalent of 21 large scale coal fired power plants. While the actual power they deliver has increased over the last few years they have started to come on line, what is interesting is that the power delivered from the two main CO2 emitting sources, coal fired power and Natural Gas fired power has also increased, and increased by far more than the natural expected increase in overall power consumption. The data I have used in the following post is not massaged to make a point, but actual data for the year just passed, 2010, and is for the whole of the year. While there have been NO new large or even medium coal fired plants coming on line, and in fact smaller and medium sized coal fired plants have been decommissioned, the actual power delivered from coal fired sources has risen, as has the power from the Natural gas fired sector. Even Nuclear power delivered more than it ever has, and no new nuclear power plants have been constructed for decades. SO, while renewable plants are being constructed at an almost exponential scale, emissions of CO2 have in fact increased, and not by a small amount either. The linked Post also has a consolidation of monthly data for every month of 2010, and each month shows that renewable power failed miserably to deliver what it is claimed it can deliver. Not only that, but CO2 emissions are rising. I know that there are people who visit Jo’s Blog who think renewable power is the way of the future. Every one of them especially should read this. It has no political agenda. It just shows the facts, those facts proving without doubt that even with a huge ramping up of renewable power, there has been an increase in CO2 emissions from traditional sources, Coal fired power especially. just a laugh…this entire article is about breaking records for 13 years and even 39 years, so why on earth does SMH preface the headline with “no surprises here”? My feeling is that the base-load power issue is being ignored as they (the pro-carbon tax lobby) are hoping that the exorbitant amounts of money being passed to ‘green’ research will lead to a ‘green’ answer to it. Watch how much will be spent on geothermal, molten salt, etc in order to try to create base-load power when the sun is not shining. The thing that most people expect from an electricity network is reliability. This is why the value of lost load (VoLL) in most systems is set a very high price of more than $5,000/MWh, compared to the average cost to consumers of around $100/Mwh or so. What does this tell us? It tells us that intermittent generators such as wind or solar must be backed up by fossil fuel plant (coal or gas) that can step into the breach when the wind don’t blow or the sun don’t shine. In other words, you need two sources of generation, one of them fossil based, if you’re to have a reliable source of generation. Seems to be a waste of capital then doesn’t it, having two generators when one will suffice? Where the alternative generation can be economically justified is in situations where the price of the fossil fuel is horridly expensive, such as in the case of diesel fuelled plants in remote regions, where the transport costs alone make the fuel cost prohibitive. Examples abound in some of the former soviet states where whole systems of diesel fired plants were abandoned as the fuel subsidies were withdrawn. e.g., in Tajikistan. Similarly, high cost situations in polar regions. By using wind generators in paralell with diesel plants, the amounts of fuel used can be substantially reduced and the economic benefits will indeed be positive. It makes no sense to subsidise solar or wind power. Let them compete on their merits. If the world wants fewer CO2 emissions, then governments must act in unison the reduce emissions via the most economic means, be that carbon capture or fuel substitution via normal market mechanisms. Aside: 1988 and MattB does a year 10 social studies project in to wind power – conclusion: a promising technology that reaches limits at about 10% of grid capacity. Not much seems to have changed in 24 years other than I was a tad optimistic. 60W x 10 hrs (assuming you are in the Sthn Hemisphere mid-winter like I am) is 0.6kWh/day, or at retail prices, let’s say 15c. mid- summer that might be 25c? My panels are doing a bit better at the moment, at ~80W/day, and I haven’t washed them for months. Anyway, let’s assume a year round average of 20c/day, or say $72 per year. If the panels cost $100, (say 50c/Watt) would you think this was a good investment? My panels, installation, inverters etc cost ~$4/watt. I fully expect that by the time the 25 year guarantee expires, I will be able to replace them at that 50c/Watt price, in today’s equivalent money, provided I don’t have to pay in gold coin . WA readers in particular might be interested in this … nobody noticed but Gillard announced the CO2 tax at the same time that Perth was going through what was effectively its coldest 11 day spell of maximum temperatures since records began. I’ve dissected Perth’s winter minimum and summer maximum temperature histories to find trends during the hot and cold seasons when electricity is needed to either be comfortable or survive. The BoM data shows Perth winter nights have been getting colder for years. I wouldn’t want to be poor during winter when electricity bills are higher thanks to CO2 tax and windmills. $4k for a 1kw system? I assume that is AFTER the govt kicked in $8k ish? Germany is planning to build dozens of new coal fired power stations, mostly to replace less efficient plants. We should be doing the same here. and still not a single 24/7 business channel in the world has warned of the folly of a CARBON DIOXIDE BUBBLE. Yes, Perth has been bloody cold! My office is not heated, so I feel it. Sunday in particular was amazing (for Perth) with the apparent temperature at Bickley (in the hills) sitting around 4 C most of the day. As for the post – most interesting. I understand that in Europe they are trying to mitigate against this problem by having wind turbines widely distributed – on the basis that the wind is always blowing somewhere. But it seems that some form of nuclear power will be necessary for some time to come. I will not be missing it – flying to Canberra Monday, being there Tuesday and back to the wild and woolly west next day. Last night there were 120 seats booked, and now it’s 130 for the CAGW crowd. Im not that convinced by Oliver Manuels theory of neutron repulsion replacing the Proton Chain or CN cycle. Theres been allot of work on stellar nuclear synthesis for decades. There has to be explanations for the light element abundances too. [OT but your right the BB theory is BS also agreed]. Just been looking at planetary temp profiles GHG theories are out for all, Venus Earth and Mars. Will report on it – I assume Jo and David will be there as well. OT, indeed – Prof. Don Scott has published on those aspects of stellar energy sources – but I don’t want to disrupt the thread here though I have to wonder about the idiot Greens with their wind power – just how much copper do we in the mining industry need to find to hook all these gadgets into the grid – and all the steel that is needed to suspend the cables away from hapless humans and animals, not to say all the steel for the bird munchers etc. The greens want alternative sources of electricity but then also want to kill off the mining industry as well – how on earth do they intend to transmit the alternative electrical energy into the grid – like the old pedal radios we used to use to radio the flying doctor? Can you imagine pedalling for a time to get the microwave oven to cook some food? Easier to create a cooking fire, though in the Simpson desert that might be awkward since it’s a tad timberless. Don’t they realise that if electrical energy production is stifled by their policies that this will affect our whole economic infrastructure? How do they expect government to function in the absence of electricity for their computers? How is electronic banking going to work without electricity? Charging their IPhones, IPads, running their computers – and the NBN – how will that work in the absence of electricity? Pedal power again? So if the goal is to implement the NBN then clearly Gillard and her Gillies must have thought about this scenario, and it becomes obvious that the carbon tax is all about redistributing our wealth to the third world, and nothing to do about mitigating the earth’s projected thermal state. The only system that seems to work is Denmark’s, but they handle swings by an interconnector to Swedish hydropower. Which is nice of the Swedes, although this might change if they shut their nuclear industry. I say ‘work’ in the relative sense, as when the have an excess they have to actually pay Sweden to take the extra MVa from the wind turbines. In practice you probably need a strategic water storage dam and pumping/generation system to load level, but in flat areas like Denmark and much of Germany that might not be practical. Capital cost would then be even higher though. Batteries are no good, because the amounts required are so large that you’d run out of battery materials very rapidly. We saw what happened to rare earth prices recently due to the supply shortage – think the same thing for lead, cobalt and lithium. Which, by the way, is why EV’s will never happen, unless they go to something exotic like molten sodium-sulfur (sodium and sulfur being so incredibly common there would not ever be a material shortage). But then you’d not get a workable car. Battery chemistry is brutal, unfortunately. Or you can like me read Lindzen’s and Spencer’s satellite based measurements of (low) CO2 climate sensitivity and ask the logical question…why bother? Thank you Jo, I loved the heading: One Windfarm Bad – Ten Windfarms Useless. Says it all really. Australia’s government is confident parliament will pass its carbon tax scheme within months, but financial institutions and carbon traders say the risk of it again being rejected will leave firms reluctant to hedge by buying carbon offset units. “There is a risk it won’t pass. We have been close to a deal before and it’s fallen over,” said Connell Burke, head of Australian Power Trading at Westpac Banking Corp.
We have already wasted huge $$$ in wind and solar. The greens will stop hydro and nukes. This leads me to conclude that the price of electricity is about to increase significantly. For those in WA, Paul Murray writes in today’s (13 Jul) West Australian about The Fabians, and that society’s link to the carbon tax etc. About time the media woke up. 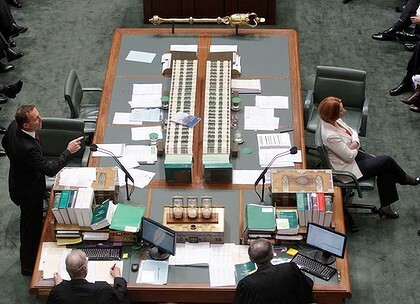 I the note to the photo said that Roz Brown began screaming about Gillard’s lack of mandate to bring in the carbon tax. The bit I heard on the radio was just a quiet voice saying that Gillard had promised no carbon tax and had subsequently changed her mind. So did Roz Brown indulge in screaming, or is this just another example of media spin? Would be interested to hear about what actually happened. Remember the quip a while back about a tax strike to get the governments attention? I have been thinking that the financial institutions from banks to prudential players to super are all falling over each other to climb aboard this gravy train. As a group I believe their enthusiasm & support could hardly be completely benign or free from self-interest. It would be surprising if most visitors here have not encountered the lunatic (?) conspiracy theories & speculation about “the CoR, the Bilderberg Group, Common Purpose, Fabians etc (there is always another conspiracy theory lurking). I realise the “system” with all the rules & regs & the bloody minded narcs in securities & broking really are an old boys club but, imagine the power of protest if there was a “CO2 Fraud Free” alternative for banking, insurance & local Australian venture investment. It could be both an effective protest & a line in the sand to the rent-seeking parasites who claim to be working for us but are in fact selling out our national sovereignty, selling off the farm & homogenizing us into nice little consuming, rent paying slaves. I have to thank Will of Sydney who Posted this in the Herald Sun today. How to start a New Day with a positive outlook. Open a new file in your computer and name it “Julia Gillard”. Send it to the Recycle Bin. Firmly Click “Yes.” Feel better? Tomorrow we’ll do Wayne Swan. Look at the skyline of any city in Australia, and in fact at any building taller than two levels. Not at night time, but at any time. Next time you’re in one of those tall buildings, wander over and open the window, you know, let in some of that wonderful outside air to breathe. Slight problem there. Those windows are all closed solid with no facility whatsoever to open them. In fact they are like that because they make up part of the structural integrity of the building. So, while every one of those buildings has those large air conditioning units on the roof, they are not there to heat the building during Winter or cool the building in Summer. They are there to provide dry and conditioned breathing air throughout the building, and this is where the word ‘condition’ in the word airconditioner is misinterpreted. The temperature can be set, true, but only by very small increments. The temperature stays at the same setting all year round, so it feels warmer than outside in Winter, and cooler in Summer. Those huge units recycle conditioned breathing air throughout those buildings, extracting stale air, and introducing fresh from outside. You Cannot, and I’ll repeat that, Can not turn those huge airconditioning units off overnight, as the air will soon go stale inside the building. So, those units run 24/7/365. They consume around 40% of all electrical power used by the building, and that air is required to be kept fresh all the time. See now what adds to that Base Load requirement. The problem with a tax revolt is making sure the ATO/Gov has no banking info on you. “… The market is valuing these companies at a combined $7.24 trillion. … up to 80 per cent of declared reserves owned by the world’s largest listed coal, oil and gas companies and their investors would be subject to impairment as these assets become stranded. OT but, .I just love how the Climate Scientists so called “high certainty ” that it is warming at an alarming rate.”. is based on just is it 80% confidence, ( from IPCC), and yet the national poll that’s running is showing that 84 – 90% rejecting the Carbon Tax. Wind power as a primary power source is just nuts. First, its inefficient and unreliable. Second, its very expensive compared to other existing mains of mass power generation. Third, its actually environmental pollution on a large scale – not only just for where they are built, but in their manufacture (rare earth in the magnets, mined in China producing big areas of blighted land; and again manufactured in China and shipped here). Forth, they are prone to breaking down in ways that are expensive to fix; i.e. mechanical breakdowns, bit difficult to fix once up in the air. Their MTTF (mean time to failure) is only a few years tops. Fifth, they do untold harm to local birds – I remember my dad seeing a doc in the UK about a chap who was employed at a wind farm to just drive around in the morning and collect all the birds killed over night. Sixth, they do not create local jobs (except for the chap cleaning up dead birds, a career with much promotion potential…). Seventh, they suffer from NIMBY (Not In My Back Yard) – nobody wants some humming, bird killing, possibly dangerous machine at the bottom of their garden, yet alone a whole farm of the things. So they tend to only be built in places that have a relatively low land value due to planning regs – like otherwise protected wild lands and similarly ‘untouched’ places. Green belt planning regs seem to not apply to such ‘green schemes’ – must have been blinded by all the cash..
TonyOz @ 50 and elsewhere; great posts. Louis, why does Val’s link to the solar flares disprove AGW? Connect the dots for this jaded struggler! Funds will flood overseas when the option to buy carbon credits comes in; assuming there are any industries who will want credits; but it is worse than this; the reason I say that is that local industry, if they have any wit at all, will not be bothered just buying overseas sourced carbon credits to stay in this dumb country; what they will do is close down, take any carbon credit entitlement offered by this idiot government, which will have to be offered to prevent a flood of Australian funds going overseas, or any subsequent government unfortunate enough to be locked into existing obligations, and use those carbon credit entitlements which will be recognised internationally and redeemable against Australia, to fund the reestablishment of the industry that used to exist in Australia overseas. Where are those 50 million environmental refugees? The standard solar model assumes a nuclear fusion core emitting radiation (energy) through space which then heats the surface of the earth – the simple radiation model in which the only energy reaching the earth is via radiation from the sun. It does not vary very much, and is insufficient to explain observed global temps and etc. Hence climate science looked for another input into the climate system in addition to the solar radiation model – hence the CO2 factor, or the greenhouse gas factor. However because the solar flare behaviour cannot be explained using the standard model, alternative explanations must be sought. It is crucial to realise that the scientific method forbids the invocation of unproven or unknown processes to explain observations; we can only use prior scientifically verified processes. Val’s link shows that the solar flare observation can be more easily explained using the physics of the plasma universe theory in which stellar activity is essentially electrodynamic in behaviour. This implies that the sun, and the solar system, is a complex electrodynamic/magnetic circuit which can be described by the laws of Heaviside, Maxwell and Lorentz, in addition to Newton’s gravitational laws. The implication for this plasma model is that the earth, and the rest of the solar system, receives energy not only via direct solar radiation from the sun’s photosphere, but also via the invisible (but observable in the non-visible spectrum – infrared/xray etc) magnetic flux tubes/Birkeland currents and solar wind. This means that the observed weather on the earth’s surface, receives energy not only from direct solar radiation, but also electromagnetically via the solar electric circuit and is plausibly of a sufficient magnitude to be capable of explaining the observations without the necessity of greenhouse gases. In other words variations in this energy system are more than enough to explain the earth’s surface thermal state and weather. Piers Corbyn’s work is based on this energy source but also coupled with a lunar factor as the moon passes in and out of the earth’s magnetosphere/tail. He shows that the plasma connection profoundly affects the polar jetstreams, from which he then can estimate likely weather patterns etc. AGW is based on a Newtonian, mechanical solar system devoid of electromagnetic effects, and undersuch a model greenhouse gases are a mandatory construct. Under the plasma universe model, greenhouse gases are not necessary, and in this sense, could be said to have falsified the AGW hypothesis that it is human emission of CO2 that causes the observed weather. This is because solar insolation by itself is insufficient to explain the weather, hence the extra CO2 factor is invoked. If, however, the majority of energy reaching the earth is via the electrical plasma connection, then this energy is more than enough to explain the weather and volcanic activity etc which shows a compelling link with atmospheric EM effects and with the ionosphere. The stumbling block for most scientists is the fact that atmospheric electrical forces are measured in pica amperes, and considered to be too weak to do anything. Wrong, electrical forces are 10^39 stronger than gravitational forces, so a current of a pica-ampere is then 10^29 stronger than gravity. PETITION : The Australian People want an Election, NOW !!!!!!! Here is a link to a petition for an election. We need heaps more to sign. This communist Gillard “government” has to go before it destroys our lives and our economy…. Not for me, it’s not. In addition, electric currents passing through electric conductors (solid state) generate heat. Those current passing through electric conductors in the liquid and gas states cause mechanical motion. The polar jet streams are thus driven by electric currents moving the plasma along tube structures. Oceanic currents could also be the result of electric currents passing through electrical conductive seawater. And from a study of willy willy’s and tornadoes, wind can also be considered to be the result of atmospheric electric currents. The greates difficulty is trying to figure out how to measure these currents because scientific measurement requires a discrete object to be measured, and preferably when it is motionless. Measuring the electric field of a tornado is somewhat dangerous and the idiot OHS people would never allow it either. I could but let’s see if the previous ideas make sense to you and cohenite. I’ll been asked to prepare an article or essay on this topic, more geologically oriented for the NCGT Newsletter, to explain the energy sources for the earth system. I’ve also in the process of editing a paper by a Russian scientist for publication (mainly translating Russian thoughts into English) which has caused me to rethink how kimberlites are formed – since he has put some pretty interesting hypotheses foward based on Russian only scientific literature. And I also have a fulltime day job as well, so one can only do so much in the time available. Thanks for your comments, you add value to this site. THE 500 BIGGEST ‘POLLUTERS’- The Information they won’t release. Create your own database or spreadsheet from the data below. Only 295 companies reported CO2-e emissions in 2010. The large amount of text below, is a CSV (comma seperated value) file that you can open in Excel, or import into a database. (Just Copy and Paste the list into Windows Notepad and save the Notepad file as anyname.CSV then you can open it with Excel – remember to tell Excel, when it asks, that the file is Comma Delimited). I constucted the file from the Governments own NGER report as they are currently refusing to release any details of the ’500 Biggest Polluters’, on the grounds of commercial confidentiality. The cost column is based on $23 per tonne. If you wan’t to get adventurous and work out how much extra a 10% increase in electricty costs these companies, then a Gigajoule equals 277.78 Kilowatt Hours. Appologies for the long post above. I love how these kinds of websites manage to merge all aspects of their contributors’ ideology together in a apparent cohesive narrative. Don’t you realize how utterly insane you all sound? Reality is knocking people – maybe you should embrace it instead of expending all this effort convincing yourselves otherwise. There are certainly issues relating to the use of intermittent renewable power generators (wind, solar) and the requirement for a reliable base-load supply. This much is certain. The gains of renewables may well be lost if the baseload supply is guaranteed by rapid cycling of large fossil-fueled generators, which is what your referenced report indicates as a possibility. (I note that he is really just cherry picking a series of other reports, which might be a little questionable, and this isn’t a particularly scientific report). A lot of research is certainly going into this problem (smart-grids to help redistribute power etc.). But you haven’t posted a marginally scientific report on your blog because you’re really interested in the technical problems associated with intermittent generation – you want to attack your imagined ‘goals’ of the carbon tax as part of your greater ideological problem with scientific evidence suggesting we’re causing potentially costly climatic change. How this report refutes the usefulness of a carbon tax is not clear to me. The carbon tax doesn’t say we’re going to replace our electricity with wind turbines + coal baseloads, it just says CO2 emissions now have a cost. If the combination of wind and coal emits MORE CO2, then the price signal of a carbon tax would discourage it – you might as well leave the coal plants going instead. I propose that this is in fact exactly what would happen, assuming your choices were limited to wind and / or coal. But the whole point of the carbon tax is to price carbon so that the private sector has an incentive to find solutions – any solution to the problem. At a certain price, we can replace all of our coal stations with high efficiency gas turbines and easily cut our CO2 emissions significantly. We wouldn’t even have to build a wind turbine to do that. (in fact we could replace a lot of our existing inefficient coal generators with high-efficiency COAL generators and still reduce our emissions). At a certain price, we can capture carbon from the atmosphere (biosequestration, Tony Abbott’s favourite), so if the market found that the cheapest, we could continue to burn our coal and take an equivalent amount out of the atmosphere to reduce our net emissions. Given a financial incentive, industry will find solutions. Maybe your report is right and wind power isn’t the answer, we just keep looking. About the only complaints I have with the carbon tax is that it’s probably too cheap, and that Labor won’t allow nuclear onto the table as an option. Please note that I don’t advocate nuclear as the solution – I would want to see the market decide that, but ruling it out is actually potentially detrimental to the most efficient solution. Apologies if I have missed something – I’m half tuned-in to a work conference call. You say solar radiation “does not vary very much, and is insufficient to explain observed global temps”. But does the “solar electric circuit” also vary not very much and so equally not explain earth temperature variations either? Earlier, Ms Gillard was bailed up by another woman opposed to the tax, and her handling of it. ‘Why did you lie to us, and why are you continuing to lie and say, well, you know, I didn’t really mean to lie?’ said the woman, who wouldn’t be named. Ms Gillard said she ‘didn’t mean to mislead’ the public. ‘I didn’t foresee all of the circumstances of this parliament but you know, we’re going to get there and do the right thing by our environment,’ she said. But it didn’t placate the woman, who told the prime minister she was only getting there ‘by manipulation’. Meanwhile a state-by-state breakdown of the biggest polluters – which will pay the full $23-a-tonne carbon price – shows 135 operate in NSW and the ACT, 110 in Queensland, 85 in Victoria, 75 in Western Australia, 25 in South Australia, 20 in Tasmania and five in the Northern Territory. A further 45 operate in multiple states. Ditto. I enjoy any alternative idea that makes sense. If it cannot be shot to bits it must be counted as possible. The Greens leader said yesterday his party had insisted on the exclusion of CCS from the fund. “We didn’t want it in there because . . .
Link(The Australian July 13, 2011). Imagine if someone invented a way to simply and cheaply capture 120 percent of all man made co2 and offered to run the machine for free. A few unhappy bankers? Countries strictly rely on industry to come up with the technology for power generation. No amount of government promises can create this without industry involvement. Industry is ONLY interested in profitability and the future of these profits to keep companies alive. But many have people who just want to be rich rather than looking to the future. So, where is the “new blood” that has the technology when science has generated these boundaries for any student to become the next Einstein? If you have no clue that science is corrupted, then all the teaching would be regarded as correct. So, the next Einstein is impossible to come from any current student. Interesting, TrueNews. So the top emitter (Macquarie Generation) is responsible for 50 times as much as Fortescue Metals Group (mid range), and over 8,000 times as much as MacDonalds (near the bottom of the list). So the companies not on the list would make up a very tiny proportion of all the emissions (except of course for petrol, which was omitted from the scheme). BTW, we should definitely *not* be allowed to buy emission permits or offsets from overseas. Firstly there is very little chance that a permit or offset bought from (say) Chad actually means anything (and I’m not dissing Chad here, from all accounts he’s a nice enough bloke). Secondly, we need to reduce our emissions, not pay others to reduce theirs. Hey Joe Lalonde, don’t be too downhearted. Einsteins and Feynmans appear all on their own, regardless of what others think. If we need new scientists, they will appear. Just one question on renewable energy Julia! Thanks to Chris Gillham http://www.waclimate.net/ @ 32. This is going to be Labour’s biggest blunder ever! Boardering on criminal as the deniers of Global Cooling eg: Julia, Labour, Gore, Combet, Flannery, etc etc will go down in history as the 21st century biggest fools and criminals ever. You mean new “Air Heads” who have to count on their fingers for change? Much funding is/was wasted on technology with promises that no one is/was an expert to say “you missed this” or “that’s garbage”. But no, we hear of theses schemes that don’t work due to lack of effective researching into the problems. We could have plentiful cheap electricity today but it is too cost effective to harness energy efficiently and by the individual molecule working in tandem. But then that could take away from the hundreds of thousands of turbines being massed produced, when 1 could replace 18. Thank you for your explanation which supports my previously held, admittedly non-expert belief that TSI was only a relatively small fraction of solar impact and that it is the electromagnetic effects that is the dominant solar driver, with it’s interaction with cosmic rays, etc. Is it true that more than 90% of the measurable energy of the universe is unaccounted for and necessitates the hypothetical invention of dark energy and other complex unobserved phenomenon. If so, then that would suggest that 90% or more of the potential energy that might impact on the Earth’s climate would similarly be unaccounted for and that would explain why, no matter how accurately one may attempt to model the climate by computer programs, one could never achieve results which predict accurately as there is a large X factor not accounted for in the accepted paradigm. Video lecture by Monckton at Rally. MacQuarie Generation will pay a tad under $600 million when the CT comes in with no compensation. MacGen owns Liddell and Bayswater power stations and delivers 40% of NSW’s electricity. My mail is they will close. That will mean power shortages, no electricity; in Australia with energy sources to last a millenium, no power! 2. “But the whole point of the carbon tax is to price carbon so that the private sector has an incentive to find solutions – any solution to the problem. A1. Well Tsudo the diversity of veiw, experience and intellect on this site may well appear to someone new as sounding “utterly insane”. The level of insanity however, pales into insignificance compared to the ‘lunatics running the asylum’ in goverment. A2. Tsudo – do your research, follow the ‘TonyfromOz’ articles regarding power generation and you will understand that baseload is exactly that – it dosn’t get altered up or down – it is the BASE LOAD. Private Equity / Venture Capital (other than those part funded by government and associated with the likes of ‘GetUp’) will never fund, an imaginary solution to, an industry where that industry has ‘No Current Solution’, because no technology currently exists. The asset values of Power Stations have already been decimated, Coal will be next, it is a bubble waiting to burst in this country. There is NO Gas Turbine that can replace coal on a one to one basis. It is the data from the NGER report, reformatted, because they will not release details of the ’500 Big Polluters’. I have just formatted it for Database and Excel use so that you can quickly sort it in various orders like scope 1 scope 2 and power consumption. Try it, It is frightening how much power our Refiners use. But of course, the price of petrol won’t go up – Mr Rabbit was lying LOL. SWINDLE billboard says it all. From the National Wind Watch site. Proof in graphs. For those with a curious mind and open here is some compelling data on the cause of the solar cycles and effect in paleo-climate and modern-climate. Very good correlation with the Maunder and Dalton minimums. http://www.landscheidt.info/ Great site by Geoff Sharp. Looks like Landscheidt’s and Carl Smith’s work may have been ignored. I think he was onto it. A list of the Top 500 derdy polluders emitters in Australia would show a lot, but have an immense amount of information, probably getting lost in the context of, well, being pretty huge. So, this image shows just the top 20. The small black squares indicate large scale electricity providers. The top 4, and 14 of that top 20 are electricity providers. Scope 1 are actual CO2 emissions from the original process, the generation of electricity. The cost is based on the original quoted Garnaut $26, so is close to what it would be at the now set cost of $23. Those 14 in that top 20 will be paying close to $4.5 Billion. Many others in that top 500 are the remaining electricity providers in the Country. This isn’t dirty polluters being made to pay for putting all that disgusting Carbon CO2 into the purely pristine Australian Atmosphere. This is provision of an absolutely essential staple of life. FijiDave: Always go back to first principles: Cohenite’s reply tells me I have failed in getting my ideas across. Not to mind, I will find other ways to explain them. Actually, yes you can, and they often do turn them off over night and on weekends (for the ones not running 24×7). If you are an early riser, and get into work early, you will notice the stale air and the stiffling conditions. It is not hazardouse for less than 10% capacity, and rarely would non-working hours exceed that level, so many companies turn off the conditioners to save a few bucks. The irony of course is that the conditioners have to work extra hard to then get the building up to breathable quality, so they are using extra power then. Is there a savings? I have not done a study, but I suspect if there is, it is minimal (except for extended outages like weekends). In Ontario Canada the power output from Industrial Wind Turbines is much like the graph that you showed. We still have days when we have close to ZERO output from about 800 wind turbines. That can only happen if the wind is correlated over a 1000KM by 1000KM area — something much disputed originally — but not any more. For further entertainment go to the Table Of Contents on that site and look at the individual wind projects to see the energy output distribution. Most of the power is low value — when any is produced. Other researchers tell me that Solar Power is even more intermittent than wind — for the few hours daily that production is significant. I would analyze the Soalr Power in Ontario — but the numbers are hidden from public view. I wonder why the secrecy. To this point I would say that the renewables sector is a failure and due to the nature of the inputs will remain so except for small scale specific purpose production. As for the extra CO2? Why would we want to sequester it? The extra greenery in the forest behind my house seems to be keeping my little part of the planet coll. I think that encouraging more plant growth might cool the planet nicely and mitigate any warming effect of CO2 — real or imagined. If atmospheric carbon was a genuine concern for our Green Betters, they would be the people most concerned and vociferous about preventing unnatural hot-burns in Australian forests. Since they are the least concerned, it’s fair to conclude that our Green Betters have little interest in their own declared philosophy. There is an ill-disguised rage in the faces and voices of Brown, Milne, Bandt, Rhiannon. Their self-loathing and authoritarian politics do not put me in mind of any kind of conservationism or protective instinct. On the other hand, those dead faces do come briefly to life in moments when they feel their power is affirmed or enhanced. No. What exactly is “insane” to you Tsudo? you want to attack your imagined ‘goals’ of the carbon tax as part of your greater ideological problem with scientific evidence suggesting we’re causing potentially costly climatic change. Interesting, TrueNews. So the top emitter (Macquarie Generation) is responsible for 50 times as much as Fortescue Metals Group (mid range), and over 8,000 times as much as MacDonalds (near the bottom of the list).So the companies not on the list would make up a very tiny proportion of all the emissions (except of course for petrol, which was omitted from the scheme). BTW, we should definitely *not* be allowed to buy emission permits or offsets from overseas. Firstly there is very little chance that a permit or offset bought from (say) Chad actually means anything (and I’m not dissing Chad here, from all accounts he’s a nice enough bloke). Secondly, we <emneed to reduce our emissions, not pay others to reduce theirs. I am glad you liked my Database, I think that Knowledge is Power and I am glad that the data I provided led you to a well evaluated conclusion. I don’t think I have ever agreed with anything you have said before JB, but, I do agree to some of the points that you make. I don’t know your mate ‘Chad’, but I do know my mate ‘Honduras’ says it dosn’t work, especially when the UN is involved. I’m glad you liked the Database / Spreadsheet data, and I look forward to your full evaluation of the data and eventual ‘Coming Out’ from the dark Side. If you are in the least bit ‘Skeptical’ about my mate ‘Honduras’ – just google UN+HONDURAS, It might just change your perspectived. There’s a taxpayer born every minute. I said to my friend today who is a Jehovah Witness that he and his mob better register to vote to get rid of the socialists. He said there would be no need for them to register to get rid of current lunatics. For any proposed alternative energy project demand to see the Embodied Energy spreadsheet analysis showing all inputs and outputs. If the developers don’t have this analysis, then they do not know if their project is viable or not. If the Energy Returned On Energy Invested is >1, then the project is sustainable. If the EROEI is <1, then the project will consume more resources than it will save, and is a total waste of money. 1. Put the price up ( limits to this if the tax / price increases ) . But altimately it will get too hard for the hard nosed finance people so the solution Cohenite @ 84 is hearing will happen. But will any of your fancy new alternative energy suppliers be up and running by then ? Even if it was decided today to build a few nuclear plants they probably would not be ready. Having said that I am not against economically viable alternative energy sources. Except for nuclear I just do not see them being viable for “main stream ” energy supply. I can see local areas developing something because of the favorable conditions available in their area and say 500 kms away some other area has something different because of what they have available but not large scale enterprises with technology ( even those at the idea stage) that we now know of. Funny video from Russian point of view(RIA Novosti)about German nuclear power shut down by 2020. You are ANOTHER Traitor to all Australians ! Please tell me this claim in the article is false..??? Yesterday the government also announced that it will be illegal for businesses to claim the carbon tax is causing them to put up prices. Merkel in Germany seems to be talking out both sides of her mouth. But…but….but…what about all those “derdy polludas”? Alan Jones had Combet on this morning. All the clown could do when quizzed on the science was to appeal to the usual suspect “authorities”. Canberra National Rally against carbon DIOXIDE (PLANT FOOD) tax !!!! Tell all of your contacts. This carbon DIOXIDE (PLANT FOOD) tax must be stopped before it totally destroys our lives and our economy. There needs to an enormous number of people at this to force these traitors in the federal “government” to call an election. BTW, we should definitely *not* be allowed to buy emission permits or offsets from overseas. John – you might mention this to the Prime Minister, since she was on morning radio saying she has a policy of 80% reduction of CO2 emissions by 2050. This is a lie. If you look at the Treasure modelling report you will see that actual reduction of emissions is 2% compared with 2000 levels. Then we’re supposed to buy “abatement sourced from overseas” (see chart 1.3 on p7) for the other 78%. But Treasure has no detail about what this mythical abatement is, they just waffle about it somehow magically coming from overseas (see section 5.2.3 on p83). In other words we are not cutting emissions we are buying off the Greens by supposedly offsetting them. Trouble is if, as the PM touchingly believes, all other countries adopt like targets, then all will want to buy “abatement sourced from overseas”. Law of supply and demand just might cut in here, except I’m sure there are a few Nigerian businessmen who would be able to help. She is managing to lie to the voters AND lie to her coalition partners AND to her rank and file. An honest pollie would not use that wording, she would say ’80% carbon neutral by 2050 compared to 2000 levels’ not ’80% reduction in emissions by 2050 from 2000 levels’. She’d even be fine if she kept to the words of the announcement “reduce our net national emissions to 80 per cent below their year 2000 levels by 2050″, but that would not serve her political aims. I suspect Treasury was not asked to model real reduction by 80% because that would be so catastrophic and appalling it would frighten her own troops into cashiering her. And it is so useless and unnecessary – you can see why in Archibald’s latest post at WUWT. *** our assessors can afford better QCs than you can ….so Na Ne Nah ne NAH NAH! Got some URLs for Mars , Venus, Earth atmosphere temperature profiles? Thought about my little experiment with the copper spheres? I can be reached via my website. Yes and i would suggest that they as well as the great Max Planck would enjoy rubbishing all the GHG/AGW theories if they were alive today. Tsudo (73) = sockpuppet for the warmists, You wouldn’t know physics if you fell over it with a barge pole! There are a lot of questions regarding this wonderous tax and the underlying science that I and everyone I know would like some straight answers on. Therefore if we could have a question repository that we could all contribute to and as answers materialise (I am being optimistic) then the site can be updated. A sort of Carbon tax Wiki, or FAQ. - What will the temperature affect be for our efforts. - How much additional GST is to be collected from the price increases brought on by the tax. - Is this increase in GST revenue factored into the compensation, if so how. - Is it true that we are only dropping our CO2 output by 60 million tonnes and we are buying 100 million tonne offsets from overseas. - When we go to an ETS and it is globally traded how will we be compensated where certificates are bought overseas, seeing as the money is going overseas. - With this overseas purchasing where does the money go, how is it protected from rorting. Is this the next Nigerian scam..
- It is stated that we are the highest percapita emission country in the world, can the source of this statement and how it is calculated be provided. - It is stated that we lag the world, can a list of what other countries are doing be provided. - Are there plans to build more Hydro power plants. - How much will council rates go up to cover increased costs of street lighting, infact why not turn them off. - What affects will the increased costs have on hospitals, as they use significant levels of power. - How much will a milkshake go up by. - Seeing as you are so confident in the modelling from treasury, will the modellers be sacked if they have gotten it materially wrong. - The support from the economists that is touted, did these economists see the GFC coming. - Is it true that the government is giving money to getup, if so why, and how much? - How many jobs will be lost from this tax, will you resign if wrong. - How much additional retail will move to the internet and international suppliers as local retailer will need to recover higher domestic costs and how much will this lose in GST. - Seeing as you have advised us that China are closing coal fired power stations, what will be their new reduced CO2 output be. - Why are Germany building new coal fired power stations. - Seeing as Japan has moved away from Nuclear, will they be building coal fired power stations, if so why, should they not be moving to the new, renewable technologies. REPLY: A great idea and yes, please can other commenters help to co-edit this, so we can get it to happen? Can anyone let me know if having all these windmills will have any affect on the weather. Surely if we are taking energy out of the wind then the normal wind patterns will be affected, something to do with laws of thermodynamics and conservation of energy? Will this cause rain shadows as winds lack the energy to reach their more normal positions? Will cooling breezes be slowed so the cooling does not arise, funnily enough causing localised heating. Have there been any peer reviewed research done on this? No criticism of the communist gillard “government” or you will be sent to a GULAG…. They can stick it where the sun don’t shine ! European Space Agency has better data references to find than JPL NASA. Tee JPL site had gone down the way of treating all visitors as primary school kids. Hard to find Mars data on temp profiles. Other note for today its Bastille Day! Remember the revolution (HINT ALP should take note). An survey people may like to partake in. Nothing to do with me, btw, just in an email I got sent. ABC = warmist funded govt sockpuppets. I see the yes vote just ahead. But, but, suppose you are like the UK and simply tell the people that they are being demoted to a third world country and no longer can count on having electricity all of the time? Sitting in the dark with no electricity or appliances will certainly decrease CO2 emissions. Furthermore, their lousy socialized medicine will get better as people will die in the dark, unable to call for help, rather than be a burden to the healthcare system. Is there any way we can get the power station that feeds Canberra to shut down for a day or two.. Methinks timed to coincide with the return to Parliment.? As someone trained in the field I can confirm the numbers and would like to point out that all this was well known in the 1980′s and 90′s. It was on the curriculum when I did renewables in the late 1990′s at ANU. At that time the renewables industries pegged their hopes on three grid storage systems to smooth the load. 1) Off peak hot water and stored heat/cold based air-conditioning. 2) Grid storage via pumped storage with dams at two different heights. 3) Superconductor grid storage and regional interlinks (giant storage rings and supergrids). The first has been blocked at the local level by red tape and the problems of retrofitting older building. The second has been blocked because the green parties oppose all new dam projects. And the third has been blocked by the fact that superconductor technology does not scale as first expected. The higher the voltage and current the more massive the systems and greater the cooling needs. All three have been blocked by the renewable industries refusal to coordinate and finance the storage systems themselves and to count it in their cost calculations. The IPCC also failed to push or finance any significant grid storage. by gosh, annabel’s got it! and some of the commenters are not happy. And it’s not just that the scheme itself is complicated. It’s that even once you manage a rough understanding of it, the whole thing is full of hedges and internal contradictions. As a tax measure, putting a price on carbon is designed to be – in the long term – a self-eliminating sort of an impost. Given that it’s pitched as a disincentive, one would reasonably assume that over the very long term – once we’ve all seen the error of our ways, I mean, and are zapping from A to B in algae-powered teleportation modules instead of four-wheel drives – over the VERY long term, the proceeds of a carbon price should shrink, as we learn to emit less and less of the stuff. Like cigarette taxes, this is a levy whose end-game is its own redundancy. And even in the shorter term, you would sort of expect that the central driving theme – to eliminate the major culprits for carbon dioxide emissions – might govern the construction of the scheme itself, and the accompanying rhetoric from its proponents. When Ross Garnaut used the word “diabolical” to describe the problem global warming presents to governments, he was not wrong. This is old I know, but entirely relevant, and is from September of 2009. You understand how the UNFCCC mentioned that of its 192 member Countries that signed up to Kyoto, 23 Countries from a list of 40 (with Australia as one of those 23) are required to introduce some form of placing a price on CO2 emissions, and that as part of that income, they are then to pay all the costs of those other 152 Countries for the introduction of processes to scale back their emissions. That’s no conspiracy theory there, but is a known fact. So, as a consequence, the World Bank is taking measures to bring the electrical power we have as a staple of life into some of those 152 Countries by allocating, er, Billions to construct, and wait for this ….. Coal Fired power plants. Nice to see our Country seeking to close them down while the body tasked with ensuring (yeah right) a cleaner energy future in that Developing World is spending that money in the right manner. It seems Julia (the real version 4.167x) is getting a tad emotional at the Press Club when talking about her background and rise to the PMship. Maybe it is the grannies asking her openly in the supermarket why she lied to us? That was the priceless footage of the week IMHO. I think she is about to crack under the pressure … the backbenchers are feeling it, the polls are showing it… another couple nudges and she is probably history. While I don’t necessarily wish ill fortune on her, perhaps she should come clean and try to build trust with the voters by not continually lying. That has got to be wearing on anyone who is not a complete sociopath. A dose of honesty would go a long way right now… problem is, the entire “carbon” tax is built on a house of lies… tricky situation that. Oh boo hoo for Joolia(r). What a pathetic pitch for sympathy. Wonder if she told as many lies in order to win her first compo case. This woman needs to go into some sort of liar’s rehab. She’s spent too much time amongst the ranks of the world’s worst liars, Ie lawyers and politicians. The latest in Labor’s weasel word dictionary. What we will be having is not a CO2 Tax, not a Carbon Tax, not a Price on Carbon,not a Price on Pollution- get rid of anything to do with “tax” or even “price”, according to Swan on PM last night, its a “Clean Energy Package”. Watch this one over the coming weeks, bet we hear it more often. GO JULIA & CO, JUST GO ! I believe you are referring to Julia V5.72rc (release candidate). This version will move to 5.72, if the testing of the “tears” is successful. Environmentalists criticised the United Nations on Tuesday after it ruled that a large Indian coal-fired power project is eligible to earn carbon credits worth USD 165 million at current prices. Several green organisations said the UN rules, or methodology, applied to the 4,000 MW supercritical plant owned by Reliance Power were flawed and that the project was viable without the sweeteners of tradeable carbon credits called certified emissions reductions (CERs. “To say that this project required CDM revenues to go forward is patently absurd,” said Anja Kollmuss of CDM Watch, a green group that monitors the CDM market. The Indian government has rolled out a programme that supports the building of 4,000 MW supercritical plants to try to meet booming power demand. Reliance, Tata Power and NTPC are investors. The five registered power projects involve two from Reliance Power totalling 8,000 MW, two projects totalling 2,640 MW from Adani Power and a 2,000 MW ultra-supercritical plant by Shenergy in China. According to UN data, the five projects are eligible to receive a total of 68.2 million CERs over a 10-year crediting period. That is worth 661 million euros (USD 919 million) based on current prices of CERs traded on the European Climate Exchange of 9.70 euros. Reliance’s Krishnapatnam plant will receive 12.3 million CERs and the firm’s other 4,000 MW plant, Sasan Power in Madhya Pradesh, will receive 22.5 million. Groups from 13 developing countries have today slammed UK climate loans, set to be agreed in South Africa this week. The loans are to be given through the World Bank. Community leaders in countries including Nepal, Bangladesh, Mozambique and Yemen have written to British cabinet ministers Chris Huhne and Andrew Mitchell rejecting the loans the UK is providing to their countries to help them cope with climate change. as for GetUp, it’s time they, and the ridiculously named 1millionwomen movement, come clean on how many members/followers they really have. not many, no doubt. as GetUp was founded by Harvard boys (Harvard, which did such a great job on Russia! LOL), one wonders how people whom GetUp claims are members would feel if they understood who they are, who funds them, and to what purpose. good story for Annabel to pursue! Hey maybe instead of a Smoke Test (IT term) gillard is using a Tear Test to check if the latest version withstands scrutiny and testing…. “Offering the false option of a direct action plan versus a market mechanism, of course economists favour the theoretically superior market mechanism. That’s about as useful as the bogus Republic system offered during the Howard years. If, on the other hand, you raised a real benefit-cost scenrio and asked a different (balanced) question you would get an honest and accurate answer. Given that no proportion of GHG emission abatement in Australia will have any measureable impact on climate, where is the incentive for Australia to lead the world with drastic abatement measures? Basic Game Theory tells you it is absolute folly. In fact, as a small emitter we should be one of the last to move. I would suggest brushing up your microeconomics 101. Check the chapter on oligopolies and read up basic Game Theory. Australia’s scenrio, i.e. the benefits of not acting, let alone ahead of the rest of the world, is equivalent to small players cheating on OPEC cartel production targets. Much to gain, very little to lose. Same argument simply framed in the negative. Secondly I suggest you should read up on another basic economic concept called “bracket creep.” Note how the tax brackets did not budge from 2010-11 to 2011-12. My homework assignment for you is to calculate how much the average income earner lost to the Government between those two years simply due to bracket creep. Assume wage increases tracked against an inflation of 2.5% (chosen as the midpoint of the RBA target range). Whatever the version is … I find it troubling that we are paying for a beta version PM. This one has not passed QA. Why are we subjected to this inferior product? ICLEI Primer: Your Town and Freedom Threatened………. ICLEI is UN Agenda 21 in disguise! ICLEI uses the false premise and outright lies of anthropogenic global warming (http://www.climatedepot.com/a/2117/PeerReviewed-Study-Rocks-Climate-Debate-Nature-not-man-responsible-for-recent-global-warminglittle-or-none-of-late-20th-century-warming-and-cooling-can-be-attributed-to-humans) to change our way of life, for the worse! ICLEI: Local Governments for Sustainability (http://www.freedomadvocates.org/images/Images/iclei%20local%20action%2021%20webpage.jpg) promotes Local Action 21 (http://www.iclei.org/index.php?id=802) , Local Agenda 21 (http://www.iclei.org/index.php?id=798) and other United Nations programmes (http://webapps01.un.org/dsd/scp/public/presentProgrammeDetails.do?progID=13) implemented through local town councils, planners, mayors and local governments. It is also ICLEI’s job to implement United Nation’s policies that restructure our representative form of government through global and regional development (http://www.slideshare.net/ICLEIWorldCongress2009/iclei-global-and-regional-development?type=presentation ) (< click and then view slide show). Policies and programs take control from our representative government and put it into the hands of regional, non-elected boards. This allows elected officials to shirk their responsibilities. It turns us into a soviet system (http://www.freedomadvocates.org/articles/illegitimate_government/what_is_a_soviet?_20050629134/) that is based on Regionalism (http://www.freedomadvocates.org/documents/doc_details/how_regionalism_reinvents_american_government_and_prepares_an_infrastructure_for_global_control/) . It facilitates both communism and fascism. Representative government with defined limits is the basis of a free and just society. International member list (http://www.iclei.org/index.php?id=11454) < ( see Australian list). LA21 as delivered by local government means a bit more density, nice town centres, and looking after water. I’ve, earlier in my career, delivered CCP and ICLEI Water Campaign projects and I can assure all of you that there is no attempt to take over the world and restrict freedom and democracy. There are however attempts to encourage people to recycle and walk to the shops – those dastardly fiends! Do you know how the updates are applied? Ross @ 100, seeing as Tsudo hasn’t replied to our questions, I think your assessment is spot on. There is zero valid, scientific, proof that increasing the CO2 level will affect temperature / climate. What we are seeing is assumerism- “everyone” assumes that this has already been proved and then proceeds to offer his suggestion to the “problem”, a problem that does not exist. So, there is no reason to limit CO2 emissions, making all discussion of methods of doing so completely pointless. I seem to remember from my days in Australia that a “spill” is possible and the prime minister can become ex-prime minister in one meeting. (That is a feature lacking here in Canada, unfortunately.) The only problem for Aussies is to find a replacement for Gillard who isn’t equally taken in. The Gunning Wind Farm is up and operational. CO2 abatement will be 135,000 tons annually.The farm, on private property will produce 44MW of electricity. This is more than enough for 30,000 homes.This green energy initiative by the LABOR government will never make the front page of any Murdoch Newspaper, unlike the abbott plebiscite rubbish. abbott and his mate peter costello are the village idiots of Australian politics. I suggest you read TonyfromOz@18 before you get all excited over the phoney numbers you’ve quoted. But you’re right, it didn’t even make the front page of The Age either, must be a non story for Fairfax newspapers too. Another $147 million blowing in the wind. Government tax breaks and state renewable power mandates support wind generation with a goal of reducing CO2 and other air emissions. However, actual EPA emissions data indicates that in the Bonneville Power Authority (BPA), CAISO and ERCOT, wind energy saves very little CO2 and has only minimal impact on other air emissions. In the Midwest ISO, wind energy is currently more effective as an emission control strategy. In none of these areas, however, are the savings sufficient to justify the federal tax credit that underpins the technology. BENTEK’s new Market Alert, The Wind Power Paradox, is the first to systematically assess the emission reduction performance of wind generation based on hourly generation and emissions data. This Market Alert presents findings that show proponent’s claims to be significantly overstated and that actual CO2 reductions are either so small as to be insignificant or too expensive to be practical. · In the BPA, CAISO, ERCOT and MISO, state and federal programs that support wind generation with a goal of substantially reducing pollution instead result in slight or effectively no emissions savings, along with increased costs for utilities and ultimately ratepayers. · The relatively small savings per megawatt of wind generation makes using production tax credits to subsidize wind energy a very expensive form of emission control. · CO2 reductions are lower than the assumptions used by the American Wind Energy Association (AWEA) and others in traditional analyses based on dispatch models. · Equal or greater emissions reductions could be achieved at lower cost and with greater reliability by replacing existing coal-fired power generation with natural gas-fired generation. You’ve swallowed GREEN-LABOR propoganda nonsense – hook, line and sinker. 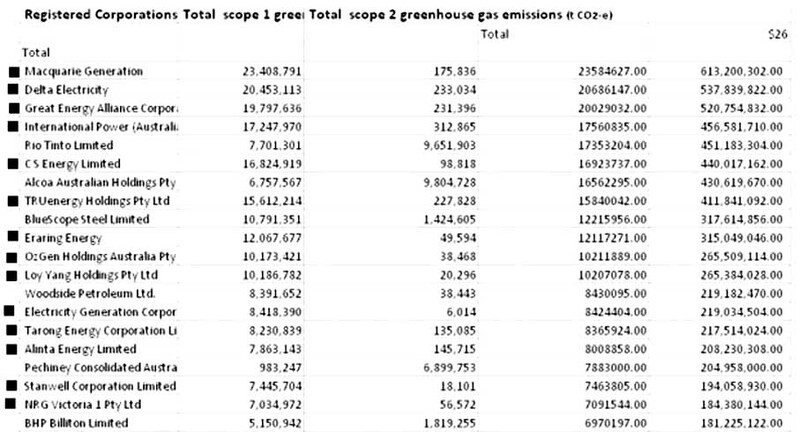 You should also know that Australia has no way of measuring the actual CO2 emisisons from power stations. So we actually have no way of knowing how much CO2 is avoided by intermittent generators like wind. This will give you some idea of waht we would have to do if we wanted to actually measure emissions. The cost of doing this would be prohibitive. And even then the data is loaded with serious errors, is unreliable and the system gets changed every few years leading to enormous costs throughout all producers and users of the data. 2. You say: “The farm, on private property will produce 44MW of electricity.” WRONG!. It has a peak capacity (power not energy generation) of 44 MW. That is not energy generation. It is power. A basic error to not understand the difference between energy ands power. And a basic error to quote peak power as implying what the average power (a near meaningless term anyway) might be. 3. You say: “This is more than enough for 30,000 homes.“. WRONG!. It won’t provide enough electricity top power any homes!. Becaus the wind doesn’t blow all the time. So it cannot guarantee to provide power on demand. It is so bad that in May 2010 all wind farms connected to the NEM produced almost no electricity for 6 days. That is wind farms spread over an area 1,200 km east-west by 800 km north-south. 4. Wind energy must be subsidised by about $90/MWh by governments and consumers. That is nearly three times the average wholesale price of electricity. A very good program on 4 corners last night on Wind turbines. Well worth a watch. It concentrated on the reports of health problems (Non reported from farmers who rent their land at $10k per year per turbine). But this isn’t a new problem as experienced overseas. Tune into http://www.windconcernontario. I suggested that low frequency whining can effect the inner year and so does the health reports from Canada. Some of the symptoms described are similar to inner ear problems like Meniere’s syndrome. I suffer from it, and unless it is full blown usually caused by fluid building up in the inner ear, and you know it because your balance is affected and you can feel dizzy, although no obvious physical symptoms, it is similar to milder symptoms. Disturbances in the inner ear can cause anxiety (because you are disorientated, your body is saying one thing and your brain can’t understand it) tinnitus, headaches, depression, sleep disturbances, even high blood pressure (because of anxiety although one can’t put a finger on what is wrong), heart rate increase. I don’t know if it was my imagination but even watching the program, I started to feel a tightening of my scalp and slight headache, and my balance was a bit off when I got up. Sure it could have been psychological but bit of a coincidence eh. Wind turbines are expensive, destructive to bird life and the environment, when they break or burst into flames. And don’t work well. Believe me, it affects a lot more than just the inner ear. See how much of it you can take. Apparently there is also a problem with bats being killed by wind turbines. Farmers near wind farms are experiencing a sharp rise in insect pests attacking their crops, due to a decline in the population of bats.